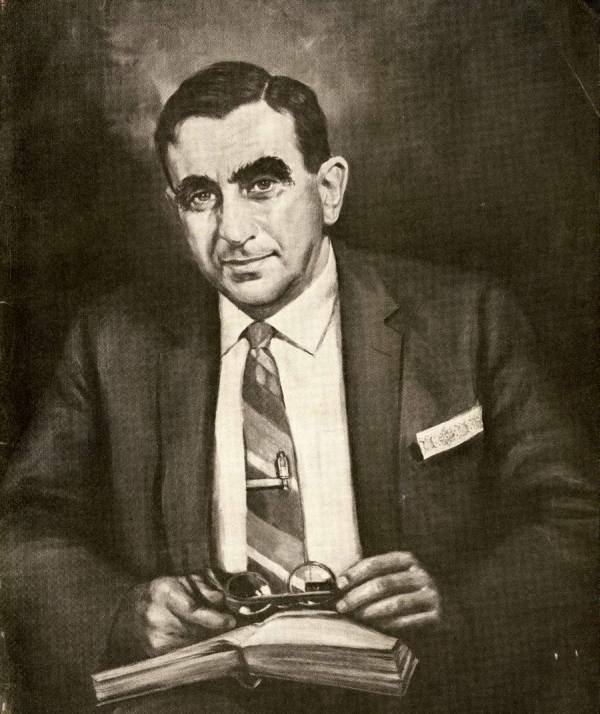 Portrait of Edward Teller by Dmitri Vail. June 1965. 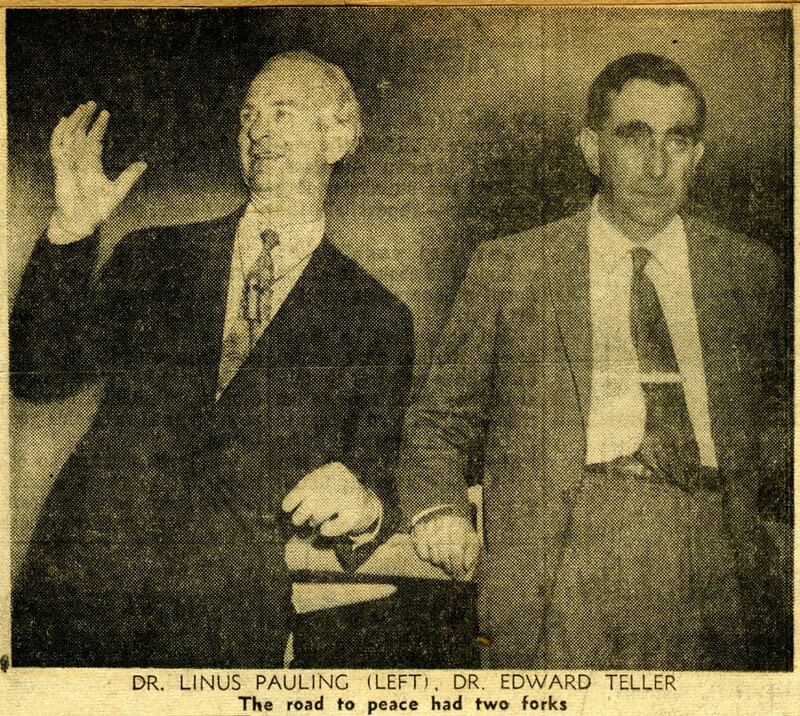 Linus Pauling and the Hungarian-American Edward Teller were well-acquainted with one another, both because of their research backgrounds in quantum mechanics and because, by the late 1950s, each was commonly recognized to be one of America’s premier scientists. 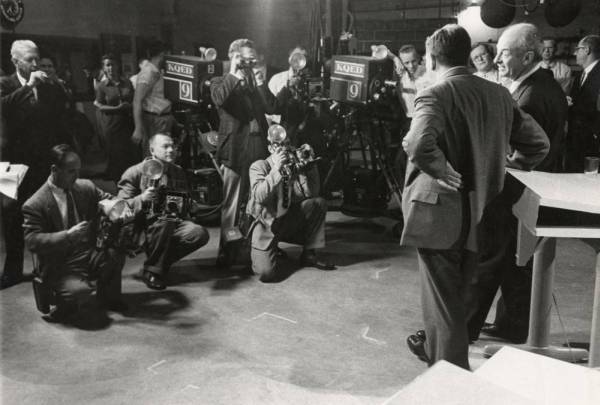 On February 20th, 1958, the two men came face-to-face in a televised debate about nuclear weapons testing and fallout for the first and only time. Pauling would say afterward that he would never debate Teller again. 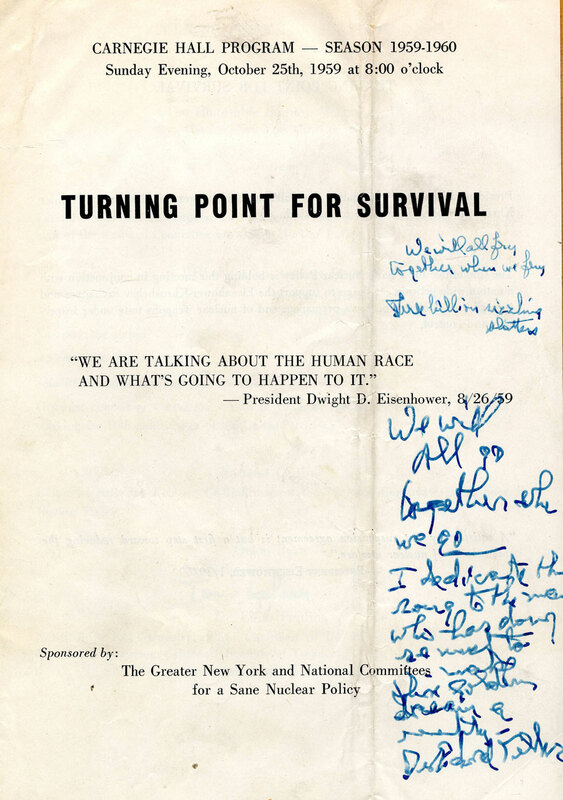 Later that year, both men also published books that furthered their stances on the topics of nuclear fallout and weapons testing, while simultaneous engaging each other’s views. World War II came about while both men were at similar places in life. In the mid-1940s, both Pauling and Teller were in the early stages of their careers and were establishing themselves as leaders within their fields of discipline. However, the choices that the two made in the face of war were radically different – as were the projects that they pursued – with both men making decisions shaped by personal motivations and principles. Although Pauling was asked to work on the Manhattan Project, he declined to do so, partly because he did not want to disrupt his family life, but also out of a desire to continue on his own war work projects uninterrupted. With the onset of war, Pauling made an abrupt shift to support the Allied effort, transitioning his work from a focus on immunology to more practical problems, including finding a substitute for blood serum and devising an oxygen meter for use in submarines and aircraft. 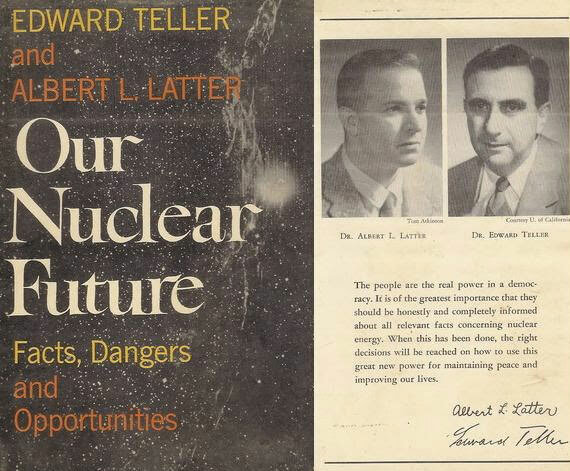 On the contrary, when asked to assist with work on the atomic bomb as part of the Manhattan Project, Edward Teller replied that he could not say no, due largely to his abhorrence of Hitler and Mussolini and the havoc that they were causing in his native Europe. A recent arrival to the United States, Teller felt a strong obligation to protect the freedoms enjoyed by the citizens of his new home, of which he too became a citizen in 1941. Teller likewise believed that it was his job as a scientist to help science progress, a belief that only strengthened post-war, as it became clear that the Soviets had developed their own nuclear weapons in 1949, much earlier than anticipated. Indeed, World War II and the role that technology played in winning the war both elevated science into the spotlight and expanded capacities for public and political criticism of science. According to Pauling, applied science could be used for evil just as easily as it could be used for good, and sometimes the line between the two was hard to discern. One outcome of this was that scientists now held greater power in politics, and especially in the military. Nonetheless, after the war ended, many scientists simply aligned themselves with the US government, and its objectives, in part to secure support and funding for their projects. A smaller number, Pauling and Teller included, actively sought to shape government policy with their influence and prestige. Following the detonation of atomic bombs over Hiroshima and Nagasaki, a long stream of questions and concerns came to dominate the public discourse over nuclear weapons, with many demanding instant action to control the use and further development of these powerful new instruments of war. In the years immediately following the war, Teller agreed with Pauling that a universal government could, and should, control the knowledge that had resulted in the production of a nuclear device – trying to keep the information secret was unscientific and would likely only make the geopolitical situation worse. Teller continued to believe in this course of action until finally deciding that the solution was not realistic, especially in the face of mounting tensions with the Soviet Union over their rapidly developing technologies. Teller stated publicly that he wished he could side with Pauling’s position that the US could help to maintain peace through international cooperation. But instead, Teller believed that the US ultimately had to keep the upper hand with respect to nuclear technologies and that doing so necessitated further weapons development. 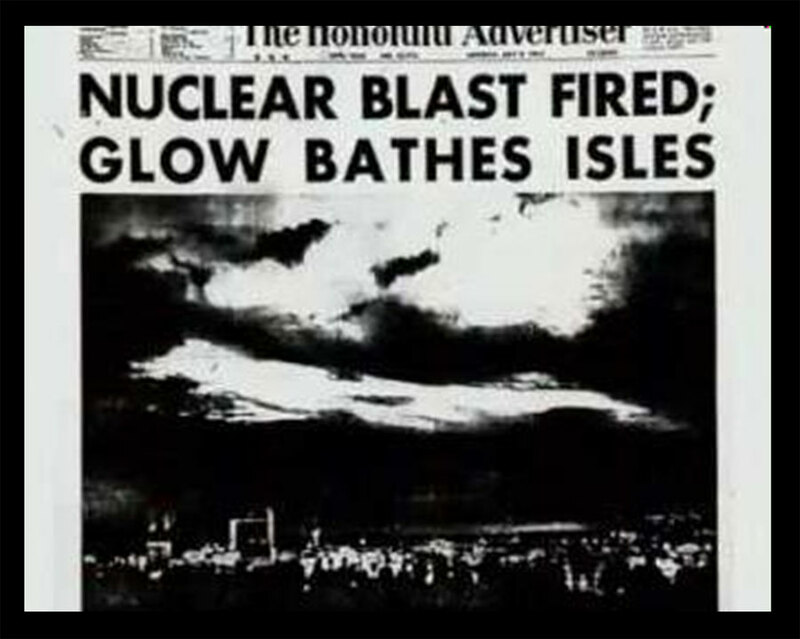 Deterrence, Teller felt, required more weapons, and in order for new weapons to be developed, nuclear tests needed to continue. Teller argued that this was the only path to avoiding a third World War. Pauling, on the other hand, believed that the West needed to learn to get along with the Communists and he sought to include them in his peace activities. 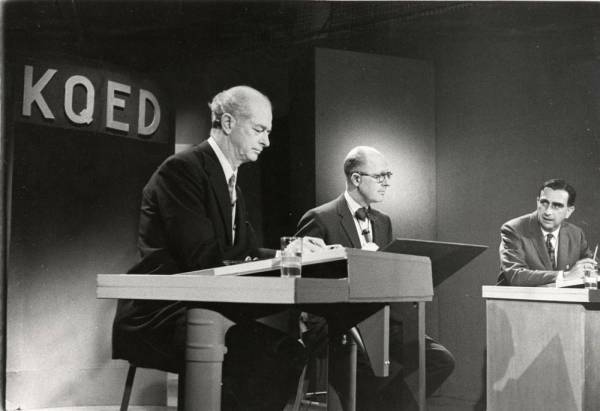 The 1958 debate, and Pauling and Teller’s stances, encapsulate many of the diverse ideas and tensions that surrounded the development and testing of nuclear weapons in the Cold War period. The two scientists approached the dangers of the Cold War and the associated arms race from very different perspectives, due in part to their different disciplinary backgrounds in chemistry and physics respectively. Nonetheless, their tactics and approach were similar in key respects, in part because each man shared an enthusiasm for speaking to large lay audiences. Both men also sought to educate the American public about the current geopolitical situation and the future of nuclear development, and both strove to present their views in language that the public could understand. Pauling was extremely rational in his thinking and he sought to use his scientific background to educate others so that they could draw their own conclusions concerning nuclear testing and fallout. In this, Teller was similar to Pauling as he too sought to educate the lay public as a means to establish his argument. Both men also believed that it was their duty to educate the public because of their unique positions as scientists, consultants, and citizens. But the discussion between Pauling and Teller was not merely one of whether or not nuclear weapons should continue to be developed, but ultimately how peace with the Soviet Union could be maintained. For Pauling the dialogue was framed as a battle for disarmament that would lead to peace; for Teller, it was deterrence against future Soviet acts of aggression. Both men played on the fears of ordinary Americans, drawing from the very real tensions of the time, and each fought for the attention of politicians who could enact the policies that they, as scientists, could not. As we will see, the result of all this was a sometimes messy battle over calculations, predictions, and interpretations. On October 10, 1963, Linus Pauling received notice that he was to be history’s first recipient of two unshared Nobel Prizes. Ava Helen and I had come to the ranch with Mr. and Mrs. Clifford Durr. We had bought a bottle of champagne, which we planned to drink to celebrate the treaty. At 8:15am, as we were sitting down to breakfast, the forest ranger, Ralph Haskin, came to the cabin. He said that Linda had telephoned and had asked that Ava Helen and I both come to the ranger station and telephone her. I asked if he knew what was the matter, and he said that he thought that it wasn’t serious. (Linda had told him and asked him not to tell us.) We finished breakfast, drove to the station, and telephoned Linda. She said that I had been awarded the Nobel Peace Prize for 1962. (She first asked me if I had heard the news. I said no.) I spent most of the day at the station, answering the telephone and giving interviews. We forgot to open the champagne. On 11 October, we drove to Carmel. Ralph Atkinson had champagne at hand. It’s our first celebration. Life magazine, October 25, 1963. Jahn’s conflict with his colleagues was symbolic of the differing attitudes with which news of Pauling’s Peace Prize was greeted, especially in America. While the public and many of Pauling’s friends sent him a flood of congratulatory letters and telegraphs, pro-nuclear scientists, much of the mainstream media and official agents of the U.S. government were unhappy about Pauling’s accolade. Perhaps most famously, on October 25th, 1963, Life Magazine published an editorial titled “A Weird Insult from Norway,” which, as one might imagine, criticized the Nobel committee’s decision. The critique attacked Pauling’s prize from two directions. 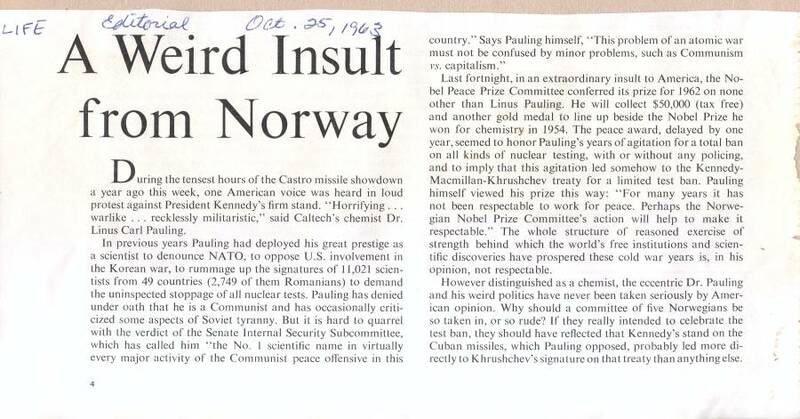 First, the editors pointed out that the recognition of Pauling’s peace work by the Norwegian committee was, in effect, a condemnation of contemporary research on nuclear science. The magazine argued that if efforts to ban nuclear tests were deemed worthy of respect, then efforts to promote nuclear research were conversely discredited. By this logic, Pauling’s Nobel Peace Prize was presumed to be an insult to other scientists engaged in nuclear weapons research. 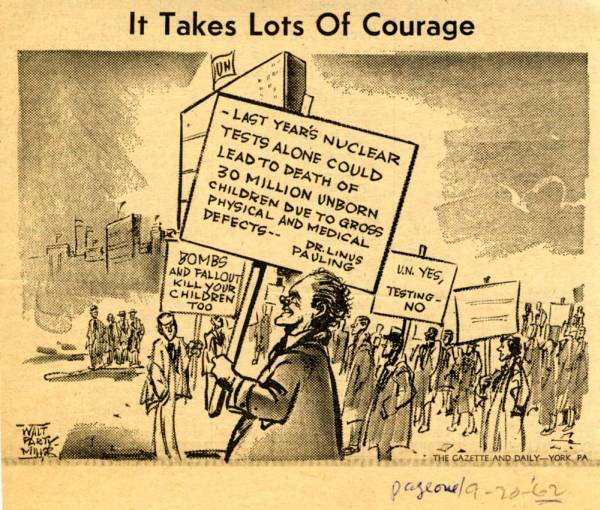 Second, the Life editorial sought to undermine Pauling’s importance to the nuclear disarmament movement. 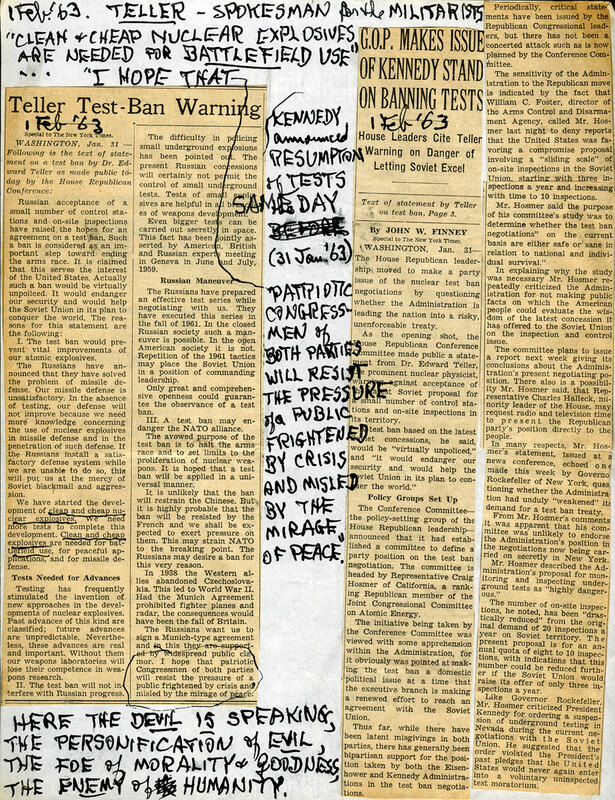 The magazine stressed that the real reason why the Partial Test Ban Treaty came into being was not because Pauling’s famous 1958 appeal finally changed the minds of governments, but rather because President Kennedy’s firm stance against the construction of missile bases in Cuba during October of the previous year had, to a large degree, helped shape sentiment in favor of disarmament on a global scale. 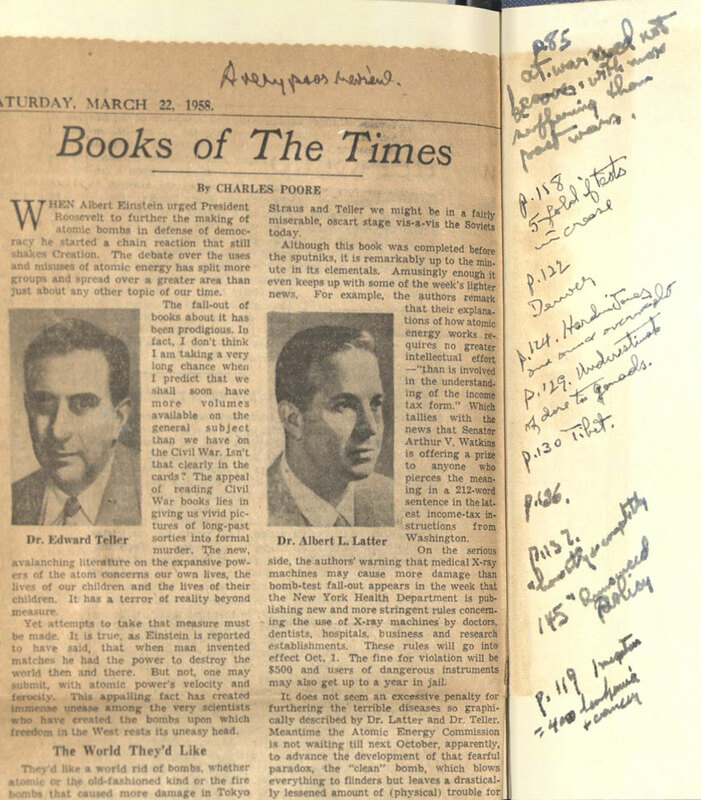 While Pauling received many letters of support from those who were outraged by the editorial, few were quite so colorful as that penned by his friend Ernst Scharrer. Scharrer, at the time a faculty member at the Albert Einstein College of Medicine, began by dismissing as folly the logic behind Life‘s critique. From there Scharrer compared the editors’ published opinion to Adolf Hitler’s response to Carl von Ossietzky’s 1935 Peace prize. As Hitler secretly began rearming Germany, in the process ignoring the 1919 Treaty of Versailles, Ossietzky revealed the news to the world by publishing details of the militarization. When this effort won Ossietzky the Nobel Peace Prize, Hitler declared that, henceforth, German citizens were forbidden to accept Nobel prizes. Though of lesser consequence, Scharrer’s point was that Life‘s critique was similarly unjustified, partisan and petty. What explains the divergence of views over Pauling’s peace efforts? To answer this, it helps to go back to the central questions of the nuclear test debate. Opposing viewpoints on these questions were summed up in a televised debate between Linus Pauling and Edward Teller titled “Fallout and Disarmament” and broadcast on San Francisco’s KQED-TV in 1958. Teller spoke for the pro-nuclear camp in first explicitly stating that, as with Pauling, peace was his goal. The focus of the controversy, then, was how best to bring about a world in peace. The conflict centered on whether the process should involve nuclear weapons. The still somewhat unknown side effects associated with the manufacture and testing of nuclear weapons also made this in an issue of pitched debate. It was known that nuclear bombs could crush islands into dust and spread them into the atmosphere over the course of a few seconds. 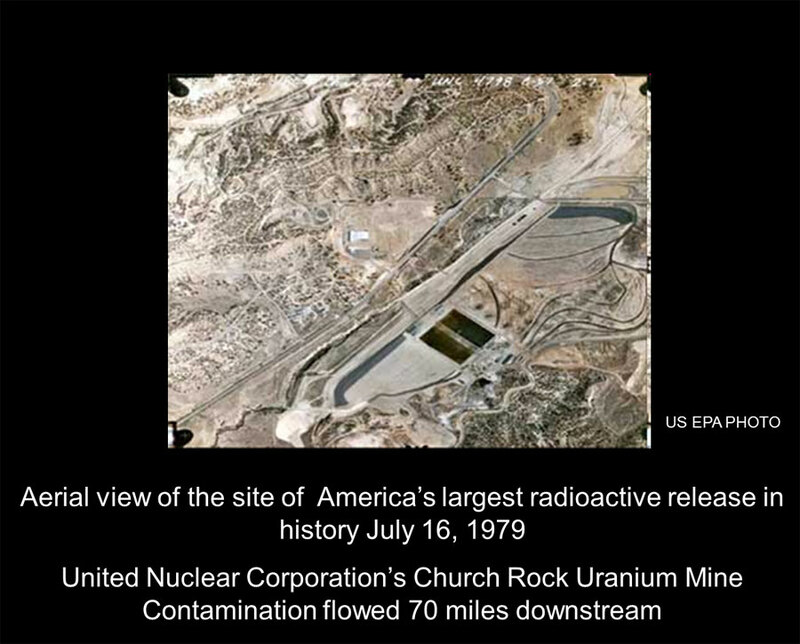 What’s more, rare, toxic elements were also clearly created alongside the release of large amounts of radiation. But no one knew exactly what might happen to our bodies when exposed to regular, if lower, levels of these atomic-era materials. Faced with this uncertainty, the two sides came into conflict on the question of what the development of nuclear weapons might bring to American society. Edward Teller thought them beneficial in that the ability to manufacture these massive weapons meant that the U.S. could match and possibly overcome the Soviet Union in terms of military strength. It was this balance between the two military superpowers, Teller claimed, that would guarantee peace. In the absence of this dynamic, war was presumed to be inevitable, with the side that failed to develop a matching nuclear capacity finding itself at a distinct disadvantage. 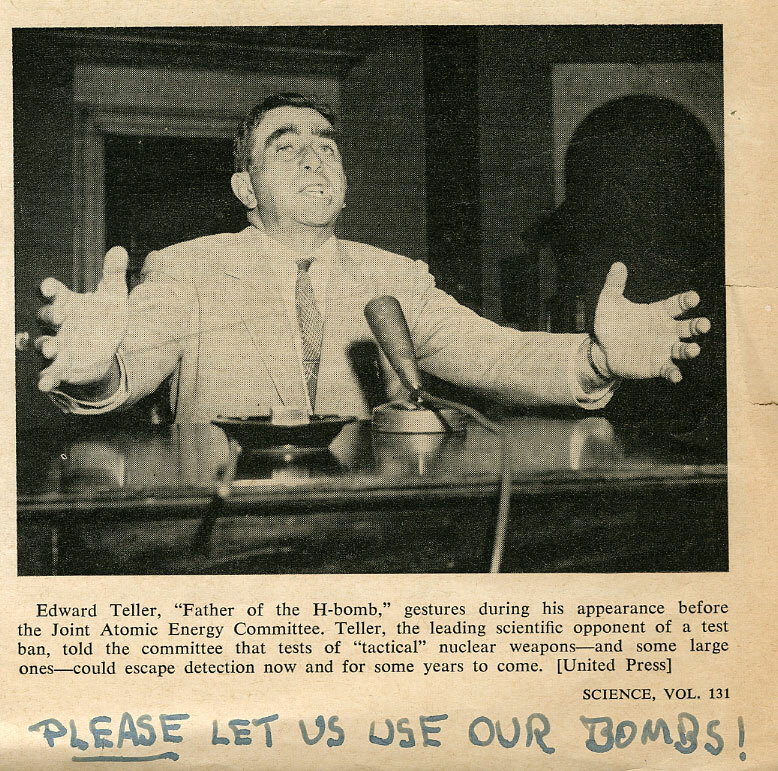 For Teller, the arms race necessitated the testing of nuclear weapons. The real stake was military strength – peace was based on force. In addition, and of major consequence to his position, Teller maintained a very optimistic view on the health effects of prolonged exposure to fallout levels of radiation. He even pointed out the possibility that increased mutations resulting from fallout could be regarded as a source for enhanced evolution of species. Pauling couldn’t have disagreed more vehemently. He thought the construction of nuclear weapons to be a bane of world society and emphasized the environmental and health costs imposed by the development of such weapons. Morality was another of Pauling’s weapons with which to attack Teller’s arguments. If it was understood that developing weapons to strengthen national security came at the cost of decreases in public health and environmental stability, the effort, even if well-intentioned, was morally corrupt and ought to be brought to a close as soon as possible. Furthermore, as a fundamental principle, world conflicts should be settled at the negotiating table instead of the battlefield. Pauling also expended much energy in compiling evidence on the ill effects of increased environmental radiation. One example that he often cited was the increase in the incidence of children born with birth defects after World War II and its nuclear conclusion. By directing his audience’s attentions to the impact of atomic gamesmanship on future generations, Pauling stressed the seriousness of the issue and re-emphasized the morality of his argument. Editorial cartoon published in the York Gazette and Daily by Walt Partymiller, September 20, 1962. To me you have been vindicated in the eyes of the world. These stupid, loud-mouthed patriots, as they consider themselves, should have to eat their words. I am not a college educated person, and I do not pretend to know what the ultimate outcome of this testing program would be, but I have read enough to make me very fearful as you are. I think we all should consider the future generations – not just ourselves, as you did. But few would be as brave and heroic as you, and would ‘stick our necks out’ as you did. You are a truly great American and a great humanitarian, which is more important! Someday people will speak of you as the great man you really are. I feel so relieved that you have won this prize, as I have been very bitter over the criticism of you. I have resented it so much, but now I feel people will change in their opinion of you…if they don’t, these few ‘screwballs’ you should not care. Most of us are as happy as if we won that prize ourselves. I know I am! Usually it seems, they wait until you die to relent and say a person is truly great and deserves the highest honor. So I feel so grateful that this was done while you still can appreciate the fact that you are considered by many a hero, if there ever was one! The contrast between the critique of Pauling’s peace prize from Life and the support that he received from much of the public displayed again the pivot point of the nuclear test debate, an issue whose resolution was still many years in the future. For the remainder of 2013, as we mark the fiftieth anniversary of Pauling’s second Nobel award, we will explore his preparation for Oslo throughout the months of November and December 1963 as he continued to speak and write, often at great personal cost, during a turbulent time in world history. Linda Richards, doctoral candidate in the history of science at Oregon State University, is the first individual to have completed a term as an OSU Libraries Resident Scholar in 2012. 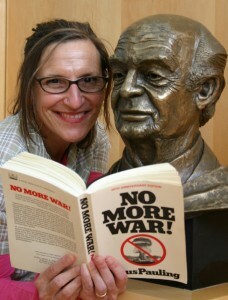 Steeped in the tradition of the activist-scholar, Richards has been discussing nuclear history, environmental justice and non-violent conflict resolution for over twenty-five years. 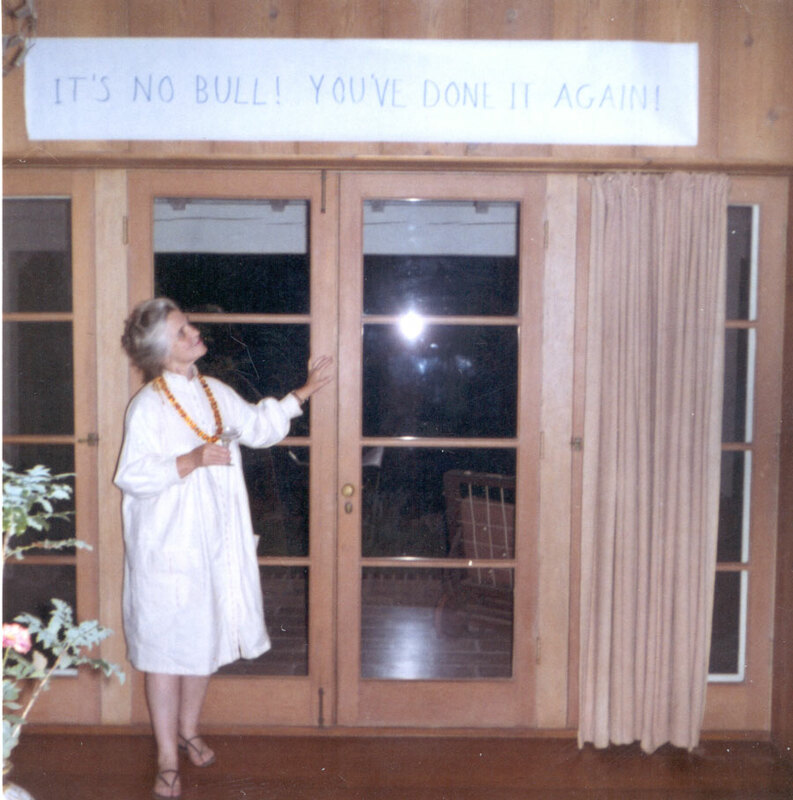 During her residency, Richards continued her investigations into these themes using the Ava Helen and Linus Pauling Papers, the History of Atomic Energy Collection and the Bart and Sally Hacker Papers. Titled “Starfish, Fallout Suits, and Human Rights,” Richards’ Resident Scholar presentation started from the premise that “how nuclear history is told matters.” In exploring this idea, Richards introduced her audience to a number of events important to the history of nuclear energy that were likely unknown to most in attendance. What I have found so far in my research confirms, as Gabrielle Hecht suggested, that radiation health safety is more a reflection of the value of what is being irradiated than how dangerous a substance is….I have [also] found nuclear history is most often told as a technocratic saga of nation states pursuing nuclear weapons superiority and energy independence. This narrative is incomplete because it not only separates the glitz of modern reactors from the rocks and dirt of uranium mines hiding what is polluting and harmful about nuclear technology, but it is missing the dimension of lived human experience, particularly of indigenous peoples’ physical and cultural interaction with nuclear technology. 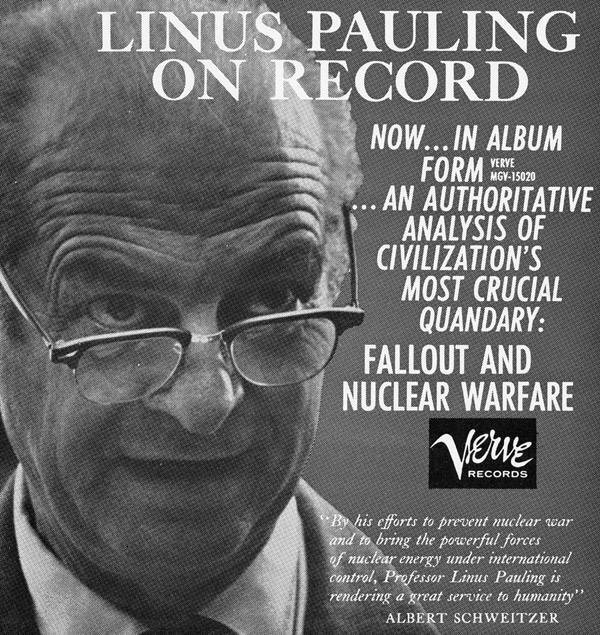 In her discussion of Linus Pauling’s activism in opposition to atmospheric nuclear testing (including his involvement in the Fallout Suits) Richards likewise introduced a number of historical events that do not typically make their way into the shorthand version of nuclear history. 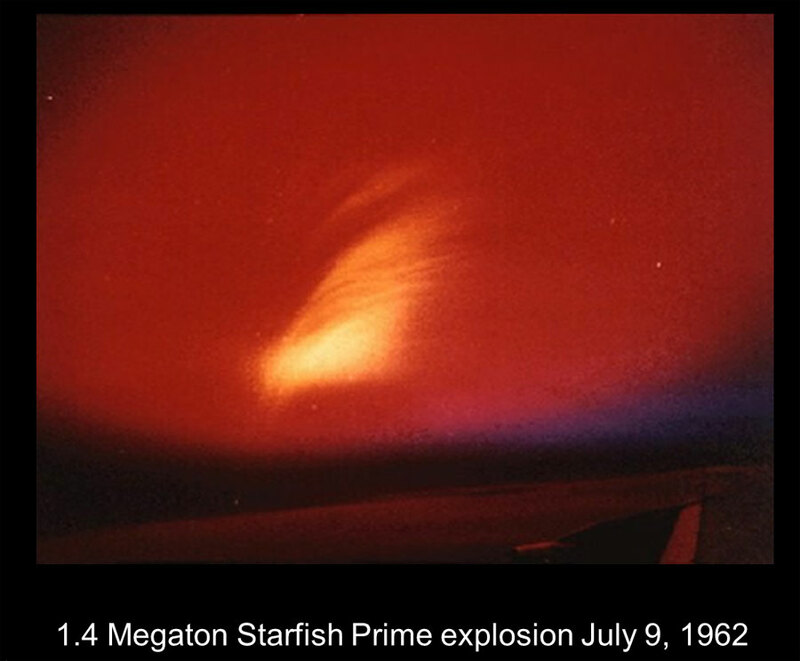 The most intensely disruptive and longest lasting of these tests was the 1.4-megaton Starfish Prime explosion, which occurred on July 9, 1962. The artificial extension of the Van Allen belts created by the test could be seen across the Pacific Ocean, from Hawaii to New Zealand, lighting up the night sky. The test damaged six satellites that all failed within six months. The explosion also created an electromagnetic pulse that blew out transformers on Hawaii and disrupted the electricity grid. Richards also recounted, in alarming detail, the extent to which nuclear testing in the 1960s became increasingly extreme. The largest nuclear device ever detonated was the Soviet’s Tzar Bomba, a 50-megaton bomb tested some eight months before Starfish Prime. 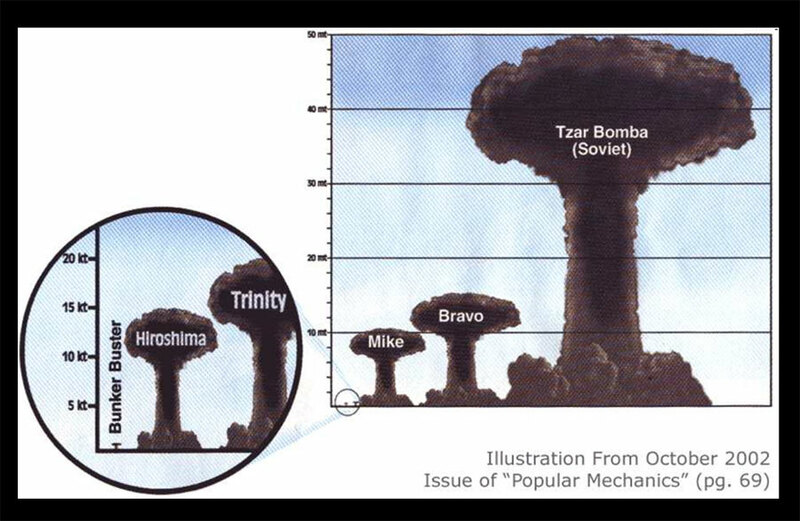 A graphic presented by Richards illustrated the magnitude of this detonation in stark terms. 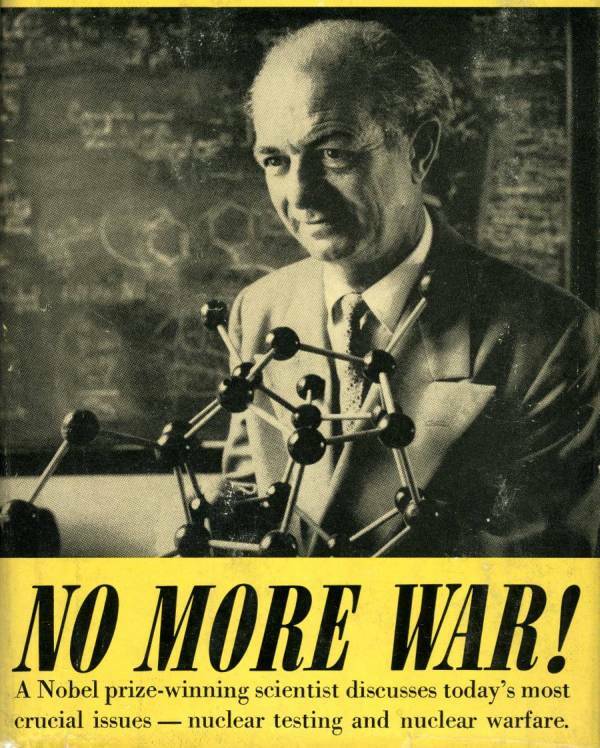 The impact of the release of radioactive toxins into the environment was a source of great concern to Linus Pauling and is still being studied today. By some estimates, radioactive fallout will cause around 430,000 fatal cancers by the end of this century. For more on the Resident Scholar Program, now entering its fifth year, please see the program homepage and our continuing series of posts on this blog. 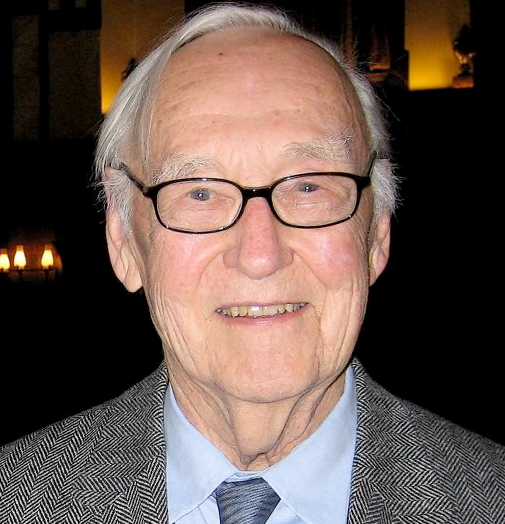 James Crow, Professor Emeritus of Genetics at the University of Wisconsin-Madison, enjoyed a successful scientific career that spanned some seventy years. Crow was most widely recognized and honored for his research in the field of population genetics. With Motoo Kimura, Crow co-authored a book titled, An Introduction to Population Genetics Theory (1970), which focused on the mathematical basis of population genetics and which is now considered a classic of the field. Born on January 18, 1916 in Phoenixville, Pennsylvania, Crow was exposed to the importance of education early on, as his father was a teacher at Ursinus College and later at Friends University in Witchita, Kansas, which Crow attended. Throughout his schooling, Crow enjoyed physics and chemistry, and ended up double majoring in chemistry and biology. 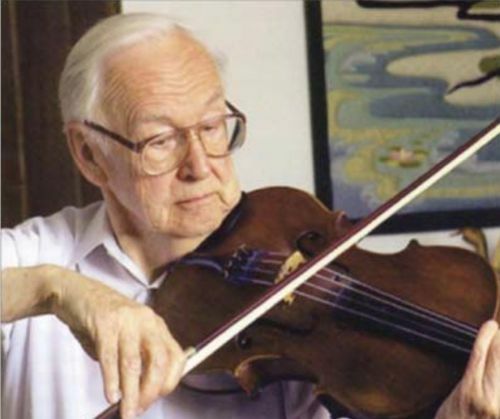 In 1941 he earned his doctorate degree in genetics at the University of Texas-Austin, where he also played viola in the student orchestra. This is also where he met his wife, Ann, who was a clarinetist. Over the course of his career, Crow witnessed the discovery of the structure of DNA, the rise of computer technology, cloning and the sequencing of the complete human genome. He stayed current with scientific several fields and was always curious about new research and findings. He became a respected leader in his field and served on a genetics committee set up by the National Academy of Sciences to assess mutational damage in those exposed to radiation from the atomic weapons dropped on Hiroshima and Nagasaki. He also developed the concept of genetic load, a measure of how fitness may be reduced by selection, and applied it to the rate at which natural selection would remove deleterious mutations from a population. Known for being social and maintaining a positive outlook on life, Crow enjoyed parties and other avenues that afforded him the opportunity to influence fellow scientists. (One such avenue was his work with the journal Genetics, for which he edited the “Perspectives” section from 1987 until 2008, where he published scientific anecdotes from major scientists in the field of genetics.) One of the scientists influenced by his work was Linus Pauling, who often referenced Crow’s research in his own writings and speeches. The harm from fallout is spread over space and time so thinly that the increased risk to any individual is too small to measure, but if all the damaged individuals could be identified and brought into one place at one time it would be regarded by everyone as a major catastrophe. He concluded his letter by inviting Pauling to visit his lab in Madison, Wisconsin. Later that year, in an article titled “Genetic Effects of Weapons Test,” published in December in the Bulletin of the Atomic Scientists, Pauling once again referenced Crow’s research on exposure to radiation and its deleterious effects on children. This research led Pauling to look into the possibility that carbon-14, a by-product produced by neutron irradiation of nitrogen-14 during nuclear weapons tests, could do extensive genetic and somatic damage. 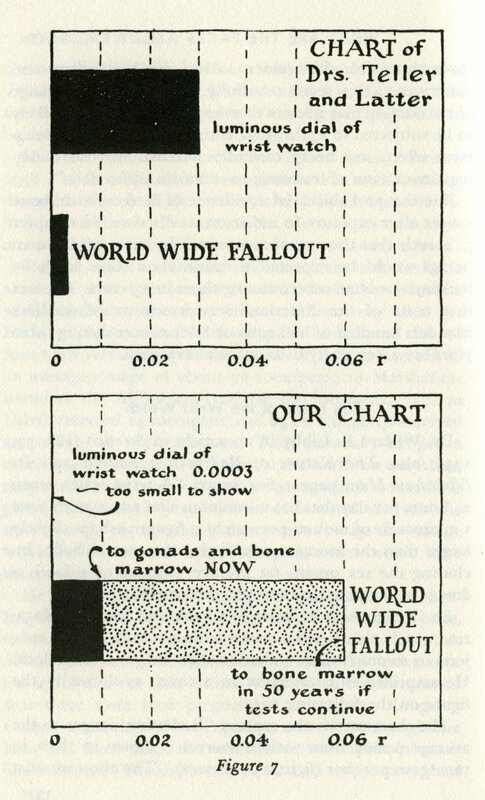 Based on estimates for radiation dosages published by Crow, Pauling determined that one’s exposure to carbon-14 over the entire lifetime of the isotope is actually four times higher than what had normally been assumed for worldwide radioactive fallout. It is clear from Pauling’s papers that he learned a lot from James Crow’s extensive research on genetics and on the effects of radiation. The two also shared a taste for public service, as Crow chaired various civic organizations while staying engaged in his studies for the remainder of his life. Crow died of congestive heart failure on January 4, 2012, aged 95, at his home in Madison. He spoke frequently with his colleagues until the end.